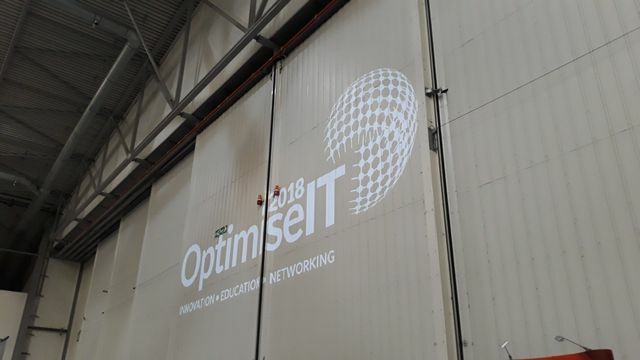 The aim of Optimise IT, run by EACS, was "to inspire IT and business professionals" and I found it interesting that the common factors amongst the keynote speeches were transformation and the importance of people. Dave Adamson from EACS spoke about the challenges of telling people that "They have an ugly baby". He didn't mean this in the literal sense but rather explaining to people that the system or process that they had brought into a company and lovingly tended for years was no longer what was necessary. In many ways the emotional attachment that people can form with things that they have personally invested in can be as a strong as as parental attachment. Managing people's emotions in these situations is essential to get buy in from these individuals regardless of the logical benefits of the new solution. Dave's point was echoed by Paul Mackay from Dell EMC giving his 7 Hard Truths For CIOs. One of these was "IT is still relevant but only if it adapts and only if it gets the people right." Paul specifically referenced the requirement to develop Emotional Intelligence skills in IT practitioners and this is something that we are increasingly seeing in any organisation involved in continuous change. Paul also talked about the need to be comfortable being disrupted. Disruption always involves uncertainty, something which humans almost uniformly dislike. In fact, people will often choose to stay in sub-optimal conditions that are known rather than face the uncertainty of a situation that is likely to be much better. The important thing here, is for leaders and for those implementing disruption to recognise the impact of uncertainty, including on themselves, and help people to manage it. Matt Watt's from NetApp told a personal story about his nephew not knowing what "email" was because all he was used to was chat apps. Matt's point was that understanding an individual's perspective on technology was critical for success. This is often a charge that is aimed at older management figures - that they must understand the younger generation. Arguably it requires all generations to consider the perspectives of others for a digital transformation to be successful in an organisation. Younger IT professionals introducing new systems need to consider the fears of those less comfortable with technology as much as older managers need to consider the perspectives of the young. With people staying in the workforce much longer, cross-generational understanding is only going to need to increase. It's not just the good guys who are dealing with transformation. Paul Ducklin from Sophos demonstrated how the development of malware has been transformed to allow those without technical abilities to distribute highly effective malware. The key weakness and the key defence against this, was people in Paul's view. Getting the workforce to recognise when a carefully worded email might trigger an emotional response and get them to click on a link that they really shouldn't, was the biggest way that organisations could protect themselves. In all of these situations, improving the ability of people to recognise and manage their own emotions and to be able to recognise the emotions that others are feeling and manage the situation accordingly will lead to improved outcomes.